I don’t need any of the features from Pie, and my phone already had some of ’em, anyway — so what’s the difference? Whatever. Android upgrades don’t even matter anymore. For some reason, seeing cold, hard data about how long it takes phone-makers to provide post-sales software support really gets a certain subset of people all riled up. Since my latest Android Upgrade Report Card, focused on Pie, just came out the other day, I thought I’d take a few minutes to address this curious and consistent drive to defend what should be a universally indefensible indifference from the companies to which we pay hundreds of our hard-earned dollars. Let’s make it simple, shall we? You may or may not care about an Android update’s marquee features or interface changes, but such front-facing elements aren’t all an OS release entails. New Android versions almost always contain significant under-the-hood improvements along with important security and privacy enhancements — things that go beyond the little fixes provided in those separate monthly patches. They also introduce both expansions and restrictions to APIs, which are what permit third-party apps to interact with your phone and data and perform a variety of advanced functions. Take Pie, for example: Aside from the snazzier front-facing elements we tend to talk about most often, Google’s Android 9 software provides substantial improvements to the behind-the-scenes systems that allow apps to operate on your phone. Apps on a Pie phone are able to use less memory, be more power-efficient, and load more quickly than what previous Android versions have allowed. Pie also provides app developers with expanded access to Google’s neural network technology for advanced types of machine learning, and it introduces a smarter system for data management that lets apps prefetch data only when network conditions are optimal. It supports a newer Wi-Fi protocol that allows for more effective indoor location pinpointing, too, and an advanced system of image processing and compression that any developer can tap into and utilize. Oh, and let’s not forget all of Pie’s privacy and security stuff: Android 9 restricts how and when an app can access your phone’s camera, mic, and sensors in the background; it introduces more effective encryption for all the data Google backs up about you; and it adds in system-level tools that allow for more privacy with network connections, stronger protection from unsecure traffic, and better protection of your unique device identifier, among other things. The list goes on — and Pie is anything but alone in this regard. The previous year’s Android Oreo release included a ton of important privacy and security enhancements, too, along with Android’s first form of native autofill functionality for password managers and a powerful system for controlling app notifications. These sorts of improvements aren’t the most tillating topics to talk about, but they’re immensely important to a phone’s day-to-day operation — arguably more so than most of the surface-level feature additions that tend to command our attention. And while most of the general phone-buying population may not understand all of this or even pay attention to their phone’s software version, there’s a difference between ignorance and actual informed indifference. So what’s the answer? Well, think of it this way: With Android’s open nature and the level of diversity that allows, Android OS upgrades are never gonna be completely consistent across all devices. That’s par for the course. 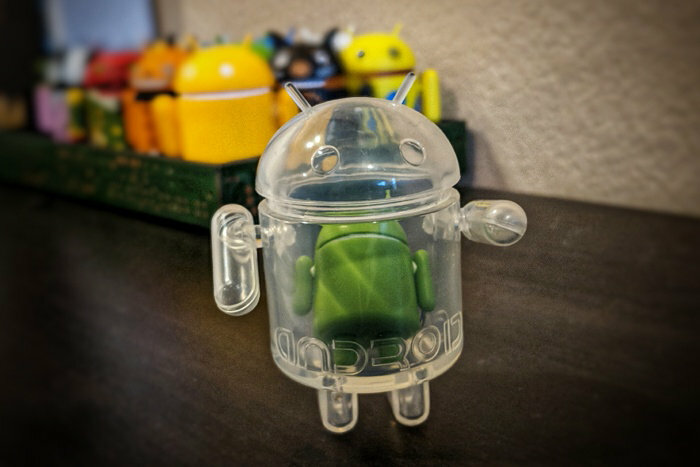 I often say that Android presents you with lots of choices, and if quick and regular upgrades are a high priority for you or your company — more so than superficial, hardware-centric factors — you most certainly can have ’em. You just have to choose a phone that provides that type of experience. Of course, deciding what device is right for you is always a bit of a balancing act. For some folks, certain factors — the presence of expandable storage, a particular style of design, or whatever the case may be — may genuinely prove to be higher in priority than timely and reliable post-sales software support. That’s what choice is all about, and there’s nothing wrong with making that type of informed decision. But if you’re deluding yourself into thinking upgrades flat-out don’t matter — or that companies treating them as afterthoughts and not providing them until well over half a year into their release is somehow justifiable — you’re turning a blind eye to an important part of the mobile tech picture. At the end of the day, only the device-makers can decide what level of resources they want to devote to post-sales support support and how they want to treat us — the silly salamanders who shell out our shekels for their top-tier technology. Much as we may like to, you and I (and even Google, clearly) can’t control what these companies do or how much of a priority they make post-sales support. All we can do is educate ourselves about their practices, decide how much of a compromise we’re willing to accept in exchange for whatever else we might gain from their products, and then make our future purchasing decisions accordingly. We may not be able to make Android manufacturers do better, in other words, but we can make ourselves informed about their strategies and behaviors. That’s what long-term data empowers us to do — and that’s something that’ll always be important, no matter what sort of twisted logic naysayers may use to argue otherwise.